There’s no reason why Linux and Android shouldn’t get along well—after all, they’re pretty much cousins. You’ve probably heard of apps that let you remotely control an Android device from the desktop. There are also apps that do the vice versa and make it possible to control a Windows computer from an Android device How to Remotely Control Your Computer From Your Phone How to Remotely Control Your Computer From Your Phone Want to use remote desktop to access your computer from an Android device? Here are the best ways to do so easily. Read More . Linux users need not feel left out. We’ve discovered more than enough apps that can turn your Androids into powerful Linux remote controllers, and today we’ll present some of our best findings. Why Use a Remote App? Since our goal is to control the computer from a mobile device, in most cases it will be necessary to install additional software on the computer, apart from just downloading the app from the Play Store. Most remote control software (sometimes referred to as “remote desktop software”) works on the client/server principle. To simplify, this means that you have to set up one device as the server (in our case, it’s the computer) and install client apps on other devices that you want to hook up to it. These client devices offer varying degrees of control over the device we designated as the server. But why use remote control apps in the first place? With a few exceptions, the reasons are usually either a matter of convenience or of emergency. Maybe you’re trying to spend more time with your family or away from the screen How to Recognize and Overcome Your Tech Addiction How to Recognize and Overcome Your Tech Addiction Overcoming tech addiction doesn't mean ending your use of that technology, it just means using technology to improve the quality of your life. This guide shows you how to manage your online cravings. Read More , but still want to perform backups and monitor your downloads. Perhaps you forgot to copy an important file to your USB stick, or even worse, forgot to turn off your PC. You might want to make sure no one is messing with your files while you’re away from your Linux box, or maybe you just want to play and pause a movie without getting up from the sofa. Countless scenarios can be imagined in which remote control apps can save your day 5 Useful Things You Can Do With Your Phone Even When It's Miles Away 5 Useful Things You Can Do With Your Phone Even When It's Miles Away You can play with it all you want, just don't touch it. Your phone that is. Read More or just save you some time. In professional environments, they are often employed for tech-support as a way of providing remote administration service to users, so you too could use them to extend a helping hand to any Linux newbie 4 Helpful Communities for New Linux Users 4 Helpful Communities for New Linux Users You might be wondering, "What do I do now?" If you're at that point, then it's time you joined a Linux community — even if you only intend to lurk. Read More . The apps mainly differ in two things: what they can do and how they do it. Some can only act like a mouse RemoteDroid: Use Your Android Phone As A Wireless Mouse RemoteDroid: Use Your Android Phone As A Wireless Mouse Read More or let you use the Android screen as a keyboard How to Turn Your Android Phone or Tablet Into a Mouse and Keyboard for Windows How to Turn Your Android Phone or Tablet Into a Mouse and Keyboard for Windows Imagine you could control your Windows PC with your Android? Intel Remote Keyboard turns your phone into a mouse and keyboard for your Intel PC. We show you how it works. Read More . Others will be able to control a particular desktop app, but not all of them. Full-fledged desktop sharing apps can mirror the desktop on your Android screen and let you use the computer as if you were right in front of it. 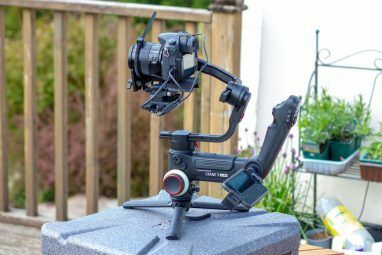 Under the surface, the apps use different remote control protocols and support different types of connection (wireless, Bluetooth, tethering). Of course, there’s also the question of price. The apps on this list are either entirely free (some are also open source), or they offer a completely functional free version with optional premium features. Another important criterion in making the list was that the app doesn’t require you to register for an account at some third-party service. As you’ll see, they are grouped by their primary purpose so that you can quickly find the type of app you need. Laptop touchpads fall victim to coffee spills, and your trusty old mouse can start malfunctioning just when you need it the most. Remote control apps for Android can save you in such sticky situations, but you don’t have to wait for a peripheral disaster to start using them. They can be practical for quick everyday tasks, too. AndroMouse lets you remotely control your Linux, Windows and OS X systems either via WiFi or Bluetooth. To be able to use it, you will first have to install the server application on your computer and allow the client app on your Android to connect to it. Once this is done, you can use AndroMouse as a mouse by performing tap, drag, and pinch gestures on the screen of your phone, or as a keyboard to make text appear on the computer. Extra features are extra-helpful, and range from using the function keys (F1-F12), shutting down the computer, and browsing files to creating custom shortcuts and functions, and using voice commands. There’s also Presentation Mode to remotely switch slides. To get rid of ads, you can purchase the Pro version. For those who can’t or don’t want to use WiFi to control their computer, Blink Linux Remote Control offers a solution: install the server app and let the client app access it via Bluetooth. The features it has are few but functional. You can control the cursor by using Blink as a touchpad, and there’s also the option to control media reproduction on Linux (skip, stop, play, pause). The interface is simple, and you shouldn’t have any problems figuring out how to use it. When it comes to emulating peripheral devices, DroidMote goes beyond just the mouse and keyboard, and lets you turn your Android into a gamepad or a joystick. Of course, you need the server component on your computer, and it has a free version (to control the computer from an Android device). However, if you want to perform Android-to-Android remote control, you’ll need a different server app which isn’t free. There’s a fairly detailed user guide in case you get stuck trying to configure DroidMote. Instead of Bluetooth, DroidMote supports tethering/hotspot connection between devices for situations where WiFi is unavailable. It’s a great all-round remote control app that can come in especially handy when you want to play the hottest Linux games Linux Has More Than Just Indie Games: Top 8 Blockbuster Games Available Linux Has More Than Just Indie Games: Top 8 Blockbuster Games Available While it's true that Windows still has a better selection of games, there are plenty of "AAA" titles (the really big hits) that are already available under Linux. Read More at your friend’s house, and there is a shortage of extra gamepads. The most popular desktop sharing tool, TeamViewer 11 Tips For Using Team Viewer - The Best Free Remote Desktop Connection Manager 11 Tips For Using Team Viewer - The Best Free Remote Desktop Connection Manager Whenever you're in need of a free remote desktop client with advanced features, TeamViewer should be your first choice. Let us highlight its unique features. Read More , supports both Linux and Android, but you can still have a perfectly legitimate reason to avoid it (for example, the fact that it’s not open source). Don’t worry—there are great TeamViewer alternatives 12 Excellent, Free Screen Sharing & Remote Access Tools You Haven't Heard Of Yet 12 Excellent, Free Screen Sharing & Remote Access Tools You Haven't Heard Of Yet Thanks to remote access, you can see and control screens from anywhere. This can save time and confusion when you are in a meeting or want to help someone. Keep these screen sharing tools close... Read More with identical or very similar features. Many of them rely on the VNC (Virtual Network Computing) technology, which in turn uses the RFB (Remote Framebuffer) protocol to share the screen between devices and provide additional remote access options. bVNC is an open source app with a paid version that you can purchase to thank the developer. However, you can normally use the free version to view and control the screen of your Linux system. The bVNC app is a VNC viewer, which means you’ll have to install a VNC server 4 Creative Uses For A VNC Server 4 Creative Uses For A VNC Server Other than just using VNC clients to connect to a remote computer, what can you really use VNC servers for? When you stop and think about it, the ability to connect to and control a... Read More on your computer. Linux users have plenty of options; the developer recommends TightVNC, UltraVNC, TigerVNC, or RealVNC, although encryption is not supported with the latter. bVNC emphasizes security, which is why there are several options for encrypting the connection. It can emulate a touchpad or let you use Android as a mouse with support for touchscreen gestures. You can save sessions, zoom and scale the Linux desktop on the Android screen, and share the text in the clipboard between Android and PC. 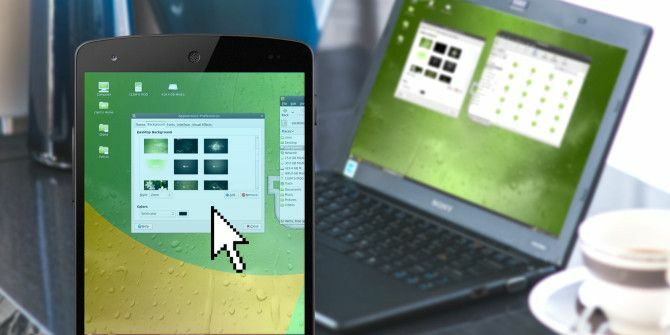 Google’s own screen sharing product—Chrome Remote Desktop—is probably the easiest way for Chrome users to connect Android devices to a Linux machine. All you have to do is install the mobile app and add its desktop counterpart to Chrome. The computer and the Android device will be paired, and the session protected with a PIN. To actually view your Linux screen on the Android device, you have to be logged into the same Google account in Chrome and on the Android device. Support for Linux is still in development, and there are a few configuration hoops to jump through, but the app is usable nonetheless. TightVNC is among the most popular remote desktop applications, and Remote Ripple is their official Android client app. 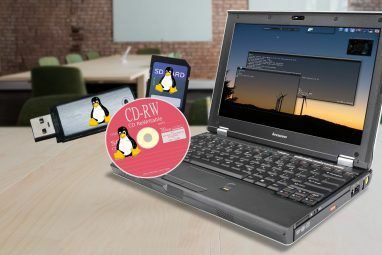 The procedure is simple: you install the server on Linux and run the app on Android to establish the connection. From there, it’s all up to you: use Remote Ripple to only view the desktop, or to open and edit files on it in full-control mode. There’s an integrated mouse tool to help you move the cursor on the desktop. If you want to create a more secure connection, you’ll find a way to do it when you buy the Pro version. If desktop sharing is an overkill for you, but you still want to manage files and run apps on Linux from your Android device, consider one of the entries from this category. They strike a comfortable balance between running an entire VNC client and fiddling with terminal commands to steer your Linux PC. This app sports a modern, Material Design-inspired interface, and connects to your Linux machine via SSH. If you already have an SSH server on your computer, you don’t have to install any additional desktop apps. Home Remote Control offers a bunch of nice features. Apart from basic mouse and keyboard control, you can use it to access and manage files on Linux, work in the terminal, and monitor system stats like CPU and RAM usage, network traffic and battery percentage. Particularly useful is the fact that you can create multiple remote control profiles, each with their own settings. Home Remote Control can also reside on your Android home screen in the form of a widget. As the name implies, this app aims to be the end-all solution for Android-to-Linux remote control. 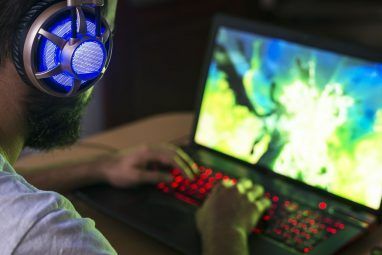 It supports both WiFi and Bluetooth connections, and can be used as a mouse, keyboard, or gamepad. You’ll need the server app on the desktop, but other than copying the server address to the client, it doesn’t require much configuration. All in One Remote comes with several predefined settings for remote control of popular multimedia apps like VLC, Banshee, and Totem. The strongest feature, however, is the ability to create completely custom sets of functions to launch and control any app you want. Another interesting feature (that’s still in development) is connecting two Android devices and controlling one from the other. To remove the ads, purchase the Pro version. The primary purpose of Remote Launcher is to start applications on your Linux system from an Android device. Think of it as a start menu or a dock that works remotely. You can use preset launchers or create your own, but the coolest feature is the task scheduler that lets you program time-sensitive tasks like turning off the computer at a designated hour. The server app for your computer is free to download and easy to setup. If you want to control multiple computers with Remote Launcher, you’ll need the Pro version. Don’t like any of these apps? Then try RemoteIt, Unified Remote, or other apps for remote music streaming Want to Stream Music From Your PC To Wherever You Are? Want to Stream Music From Your PC To Wherever You Are? What's the easiest way to take your entire music library with you, no matter where you go? Read More . Imagine having a remote control for just one TV channel. You could take amazing screenshots—but only on National Geographic, or download the recipe with current prices for ingredients, but only on Food Network. Android apps that work only with specific media players for Linux 3 Fresh & Lightweight Music Players For Enjoying Your MP3s on Linux 3 Fresh & Lightweight Music Players For Enjoying Your MP3s on Linux If you're a Linux user who loves music, you've probably noticed that audio players come in all shapes and sizes, from iTunes alternatives to lightweight apps. Which lightweight music player should you choose? Read More are somewhat similar to that, and though this might sound useless, it’s in fact a great way to start controlling Linux from Android without too much hassle. After all, you already have the desktop app, and you know what to expect from its Android helper. If VLC is your favorite Linux media player, this app is a must-have. With VLC Remote, you can toggle fullscreen mode, browse cover art, manage subtitles, control DVD playback, adjust the aspect ratio, and modify sound output. It’s also possible to tweak the equalizer, and if you want to browse files on your Linux system with VLC Remote, you can do it with the paid version of the app. Clementine Remote looks simple (and very orange), but it packs a great set of features. The user experience is smooth and doesn’t feel deficient in comparison to the desktop app. It’s possible to browse your music library, turn on Shuffle and Repeat, get song lyrics and album cover art, as well as adjust the playback volume. The feature that stands out is the ability to download tracks from the Linux machine onto your Android device. Note that Clementine supports remote control only from version 1.2.1 onwards, and that you have to enable it first in the settings dialog of the desktop app. You might have heard stories praising MPD (Music Player Daemon) as one of the best music players for Linux 4 Linux Music Players That Deserve Your Attention Now 4 Linux Music Players That Deserve Your Attention Now Which Linux music player is the best? We compare four excellent music players you may not know about. Read More . It’s a music server that can play songs and store information about them in a database, but you need a separate client app to actually make playlists and tweak playback options. MPDroid is one such client that can connect to the MPD server on your Linux computer and stream music from it to an Android device. 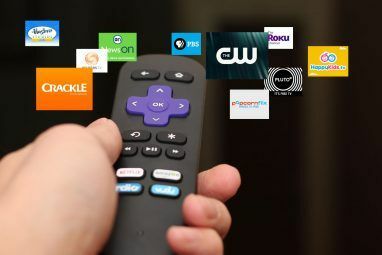 Alternatively, you can just use it to control playback on the desktop Gmote 2.0 - Use Your Android Phone As A Media Center Remote Control Gmote 2.0 - Use Your Android Phone As A Media Center Remote Control Read More . It offers just the right amount of options: you can skip, shuffle, and repeat songs, change the volume, and organize your playlists and music collection. Setting it up requires some work (namely, editing the /etc/mpd.conf file on the computer), but once it’s done, you can just connect MPDroid by providing it with computer’s IP address. Are you feeling geeky today? Linux administrators are already aware of the amazing things that SSH can do, but you don’t have to be an expert to appreciate these apps. Thanks to the SSH (Secure Shell) protocol Beginner's Guide To Setting Up SSH On Linux And Testing Your Setup Beginner's Guide To Setting Up SSH On Linux And Testing Your Setup Arguably one of the most important Linux utilities to learn is SSH as you can control a different machine as if you were sitting directly at it. We'll take you through a basic installation. Read More you can remotely control Linux even from an old, slow Android device, and troubleshoot a computer when its GUI environment goes down. Plain and simple, Connectbot is an SSH client for Android that can securely connect to your Linux computer and execute commands in a terminal-like interface. You can use it to connect to multiple hosts (computers) and save shortcuts to those you frequently access. JuiceSSH is a bit more colorful than Connectbot: it’s an SSH client for Android that supports terminal color schemes, adjustable font size, plugins, and gestures you can use to control apps like Irssi, Weechat and Tmux. You can password-protect your connection with a Linux computer and create custom profiles (“identities”) for each connection. It’s also possible to save session transcripts and maintain multiple active SSH connections. Additional port forwarding, security and sync options are available through in-app purchases. Despite the name, this app works with Linux and Windows as well—you only need an SSH server on the computer. It supports gestures, different types of terminals, and lets you protect your connections with a PIN lock. You can run multiple connections simultaneously and adjust the colors of the interface. It claims to be an “enterprise-grade” app and it looks very professional, but the best features (like power-saving mode and SSH port forwarding) have yet to come. There are many more apps that help you control Linux with an Android device, and we would like to read about them in the comments. Which apps do you use and what do you do with them? Have you used any apps from this list? Let us know! Looking for an Android app to control your media and smart home devices? The Peel Smart Remote app can do that! If you like ideas like this that let you do more with your Android device, check out apps that let you set up automatic replies for everything 5 Android Apps to Set Up Automatic Replies for Everything 5 Android Apps to Set Up Automatic Replies for Everything Here's how to set up auto-responses to phone calls, text messages, emails, and more when you're away from your Android phone. Read More . Image Credits: Office Freelancer via Pixabay, Allow VNC Connection on Desktop by xmodulo.com via Flickr. Explore more about: Linux, Remote Access. Se han olvidado de KDE connect, un control remoto multimedia para cualquier medio. La función del control remoto como un pad, solo me ha funcionado en KDE5. Splashtop is still beta for Linux but so far so good. Works like a charm Android->Windows, includes file transfer and more. Switched over from LMI and quite happy. I can't recommend JuiceSSH and bVNC enough. It turns my Galaxy Note and Asus Transformer into a remote terminal. Both work like a charm. bVNC supports tunneling VNC over SSH, which is pretty awesome. My first choice is NoMachine - the kingpin of all Linux solutions for remote desktop, remote control and access to any app in your Linux PC. Why install different apps for different things when you can have for free one app that does it all. VNC is ok but too slow. Missed Unified Remote, pretty major player.